Continually refreshing their collection of glass, Iittala introduces another beautiful color to their collection of Aalto trays for 2011. 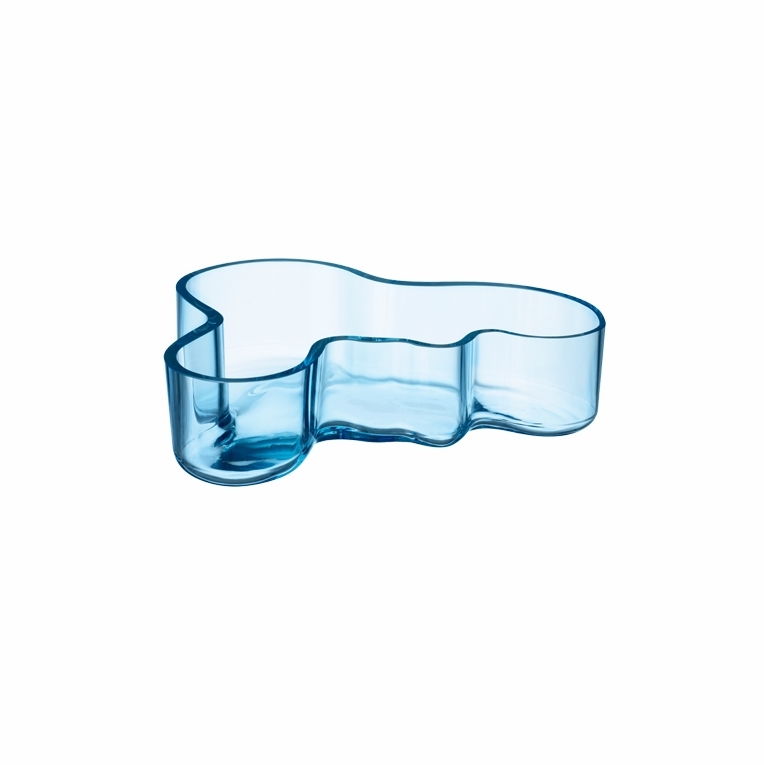 This small Aalto tray, in a watery light blue color echoes the purity and crystalline hue of Finnish lakes. The hint of blueberry to this otherwise transparent glass is soothing to the eyes and is a perfect serving tray to use during hectic dinner parties to help shroud a calm and peaceful mood into your guests.